Take Your Sales to the Next Level. Ideas and sample designs to help get you started. A showcase of the types and styles of displays available. 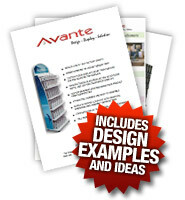 Material samples and information on how to maximize your sales and increase brand awareness. Fill in the form below to download brochure.